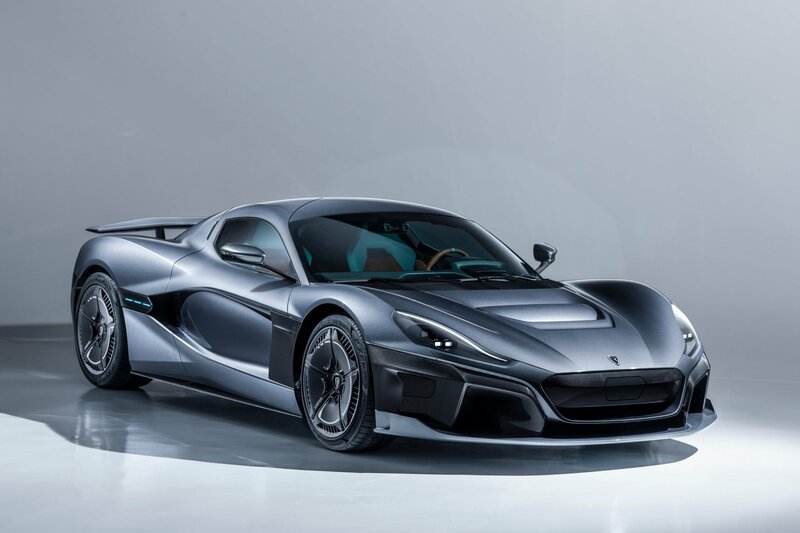 The Rimac C Two: a pure electric GT hypercar as capable on track as it is crossing continents. A car as bespoke as it is user-friendly. 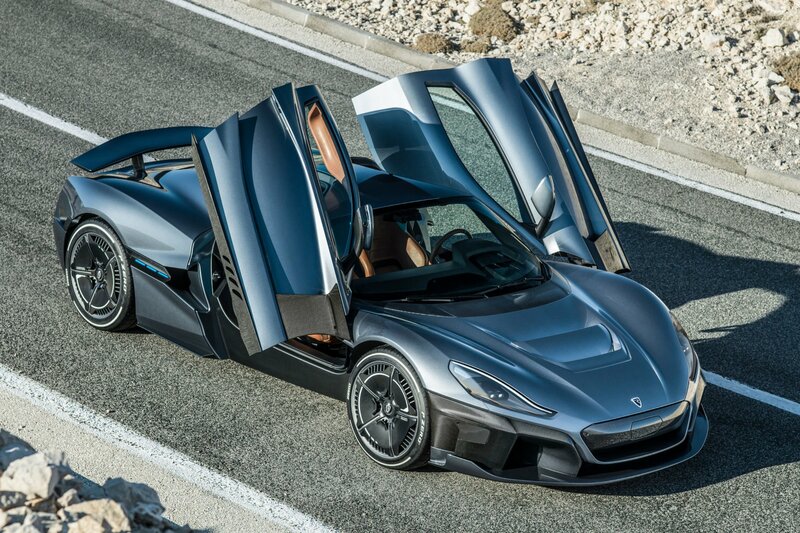 A new breed of hypercar. A method of entry and egress designed to be as dramatic as it is pragmatic. New butterfly doors not only deliver endless kerbside drama, they also elegantly carve away at the C_Two’s wide sill when open, giving a generous space for sophisticated entry and egress. With its wide, architectural rear end, the C_Two could never be mistaken for the ordinary. 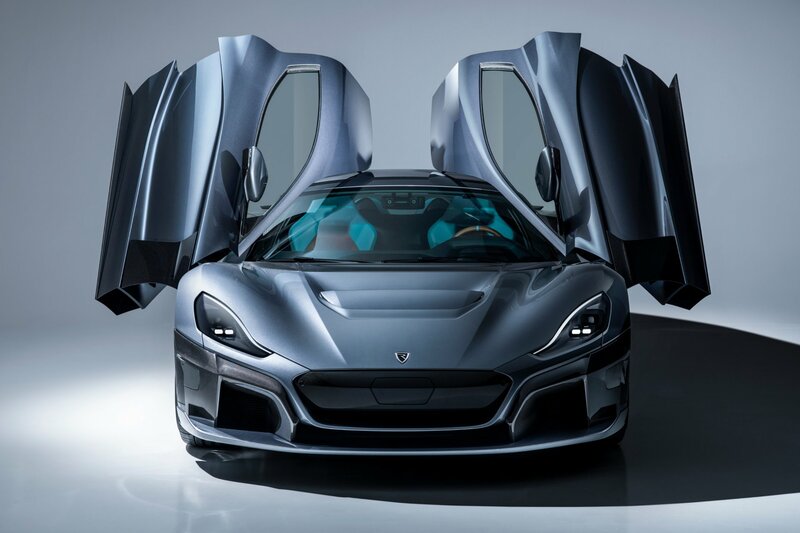 Despite incorporating a wealth of active aerodynamic elements, it remains a coherent graphic, combining both the drama and beauty of a hypercar seamlessly with the cutting edge - shaped by the air itself, forged with technology. 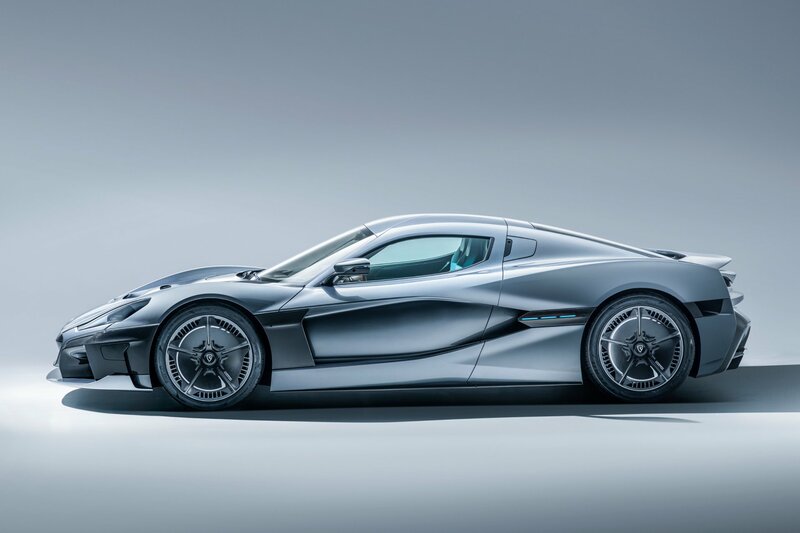 A broad, sculptural hood design emphasises the C_Two’s strength and intent and includes active flaps that modify the car’s aerodynamic profile. 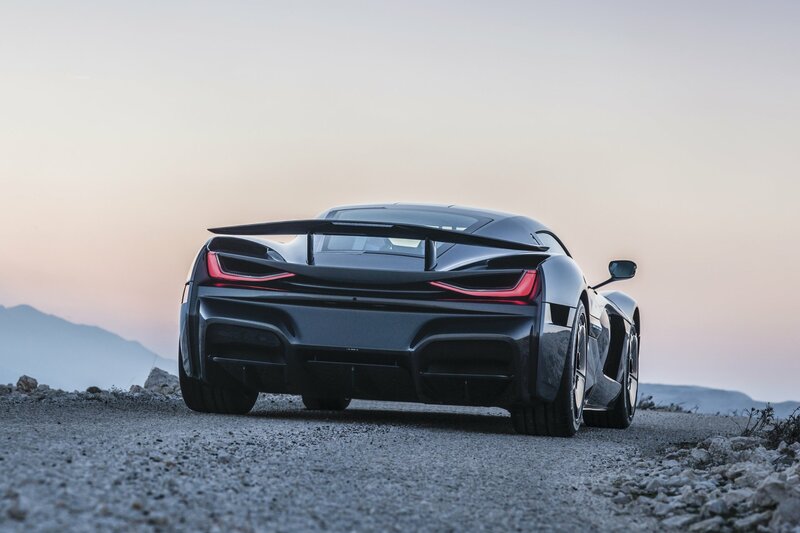 This provides the kind of low coefficient of aerodynamic drag that allows this hypercar to slice the air like a silent knife, aiding both efficiency and performance. 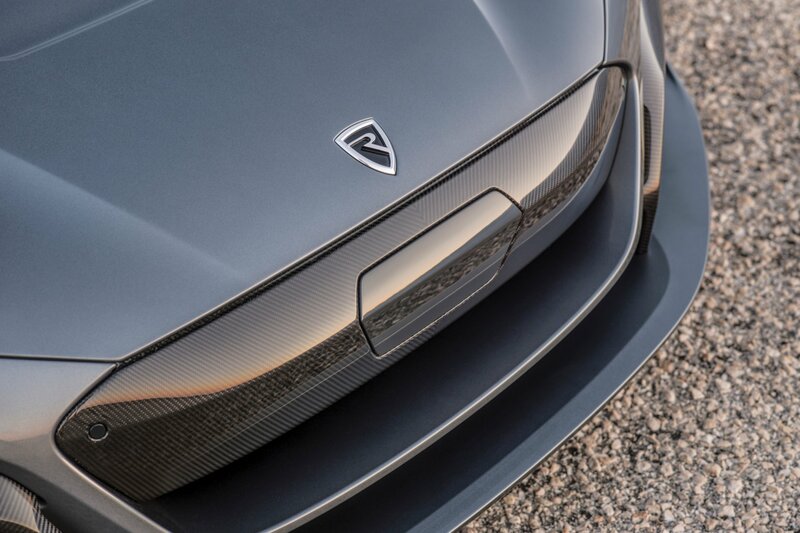 The C_Two’s front splitter features active elements to both modify the car’s aerodynamic profile and help maintain optimum operating temperatures for electronic and battery systems. By utilising these mobile flaps, the C_Two can remain cohesive and beautiful, and yet still exceptionally functional. Despite its appearance as fully-integrated into the back of the car, the rear wing adopts varying positions according to dynamic loads - maximising cornering downforce and also allowing for a high top speed - and instantly operates as a full air-brake to stabilise the car under heavy braking. A fully flat floor and optimised venturi-effect rear valance accelerate airflow underneath the car and remove positive pressure from beneath. Active flaps modify this effect to make the C_Two exceedingly efficient at managing the air it moves through, while channeling cool air to the battery pack cooling systems. Four electric motors power each individual wheel, giving both four-wheel drive and unprecedented dynamic control. The bespoke dual permanent magnet, oil-cooled electric motors offer instant response, more than 97-percent efficiency, a near-limitless and maintenance-free operating life and maximum torque from zero rpm. A total motor power of 1.408kW. 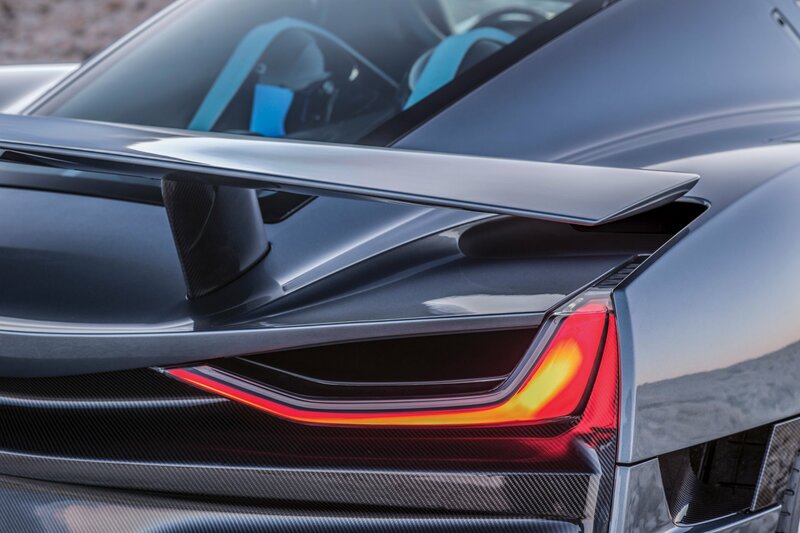 While a pair of single-speed gearboxes apply drive to the front wheels, a pair of two-speed gearboxes - again, one for each rear wheel - allow the C_Two to make use of its prodigious torque to produce both mind-blowing acceleration and a true hypercar top speed. From advanced ADAS features, facial recognition in lieu of a key, voice control and beautifully animated graphics, the car also features an M2M system monitors over 500 channels of telemetry - which can then be accessed and interrogated in real time via mobile app or laptop. 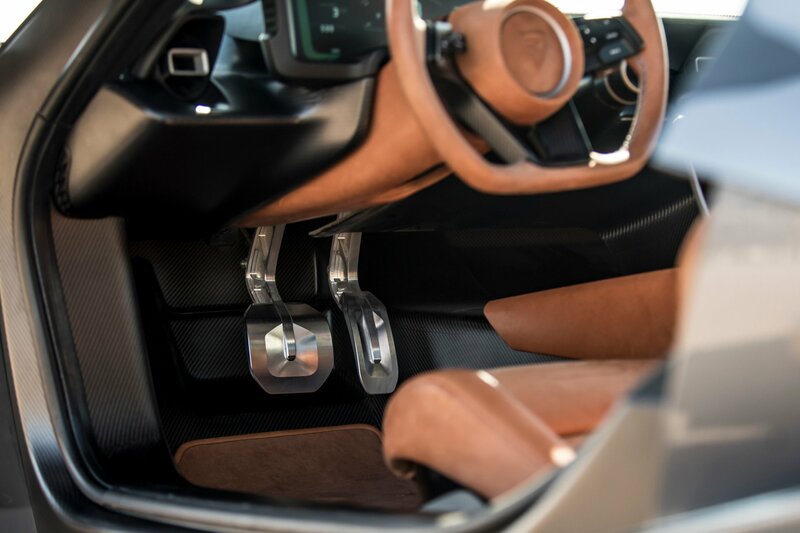 A unique and bespoke set of interfaces have the ability to monitor every aspect of the car’s performance via live telemetry animations or graphs, or simply browse through a library of music, Rimac’s systems provide convenience and intuitive usability. The C_Two features a triplet of high-definition TFT screens, which present as much, or as little, information as the driver decides is relevant. As well as the convenience of touchscreens, an owner can nevertheless complete every function of the car via billet aluminium rotary controls and switches. A secondary screen displays the car’s current functionality direct to the passenger via a dedicated ‘co-driver’s display’, overlaying on-board datalogging to the screen graphics – a sophisticated semi-gaming experience not seen before in a production car. With generous space for two occupants and their luggage, the C_Two is designed as a true grand tourer. A situation made possible by the car’s generous range of 650km. With every wheel and button milled from billet aluminium, the experience of interaction in the C_Two is profoundly satisfying. Wide, generous doors provide an easy access space for any type of driver and passenger - even when wearing racing helmets. The doors take with them part of the car’s sill structure and roof – meaning the C_Two’s occupants are able to sit into the car, rather than clambering in over an awkward sill. 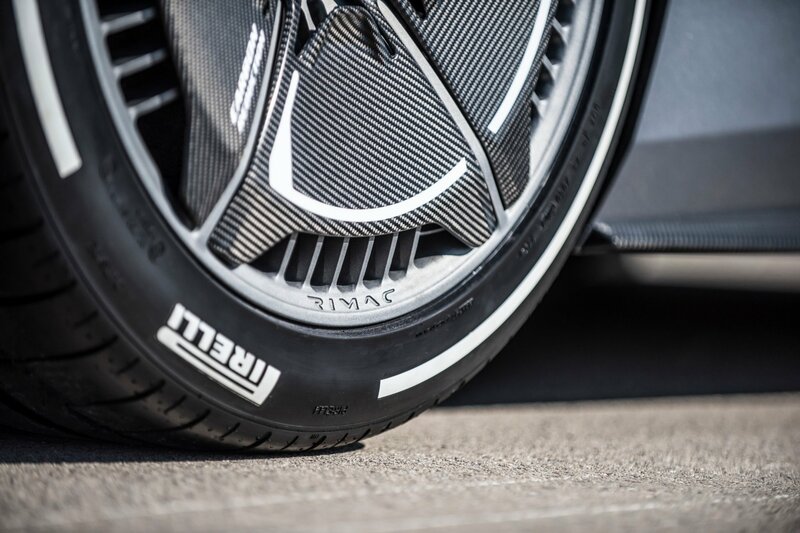 With every aspect of the C_Two produced on-site at Rimac’s facility, the carbonfibre elements - including the chassis and bodywork – are a perfect fit. With such manufacturing control and in-house research and development, this also allows details of the car to be produced to the customer’s exact specification. 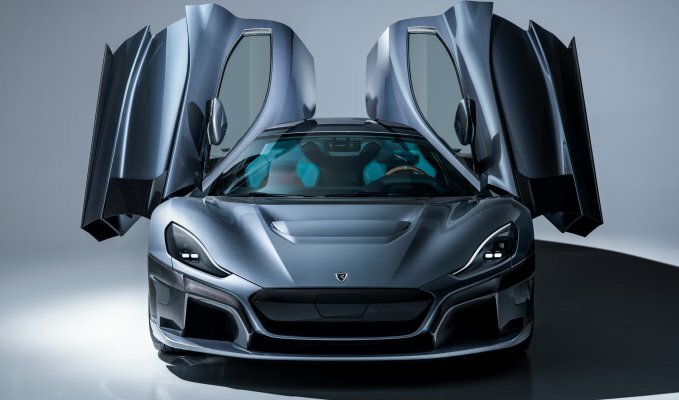 Thousands of exotic metal, carbonfibre and electronic pieces of this intricate jigsaw are produced, tested and fitted - even the jigs and tooling for each individual piece are produced on-site - to provide the kind of quality that Rimac demands. All under one roof on the outskirts of Zagreb, Croatia.